The ultimate goal is to inform efforts to conserve or repair heritage sites. In 2015, Lisa Mol stared at a series of satellite images, distraught. The before-and-after pictures showed how the Islamist terrorist group ISIS had damaged the ancient Syrian city of Palmyra with explosives and bulldozers. An oasis in the desert, Palmyra had been a cultural meeting place in the first and second centuries AD, and contained the fingerprints of many civilizations. 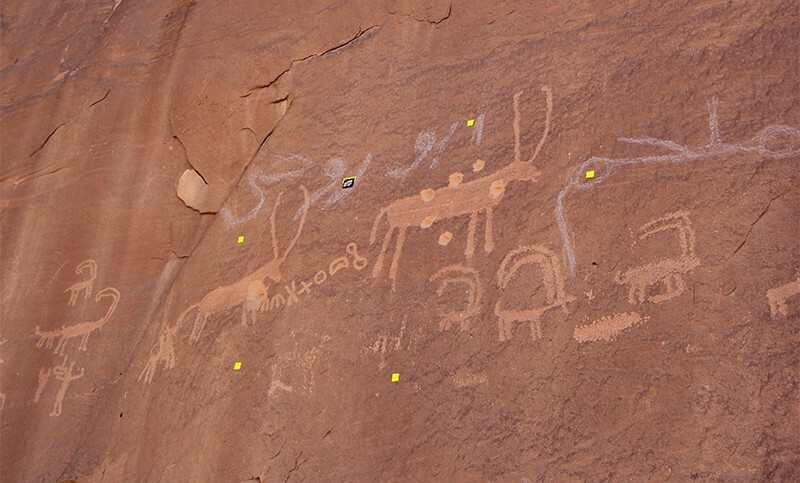 Mol, who specializes in rock art and rock deterioration, is now spearheading an initiative — the first of its kind — to quantify and catalogue the impacts of bullets in rock at a heritage site in the Middle East. The eventual goal is to inform efforts to conserve or repair such sites. Satellite imagery has been used extensively to identify damage in conflict areas, for example in Syria and Libya. But there is a dearth of information about how stone structures weather after ballistic damage, despite the fact that ancient sites are often casualties of conflict — and have been for centuries. “I saw something that needed doing, and built up a team,” Mol says. 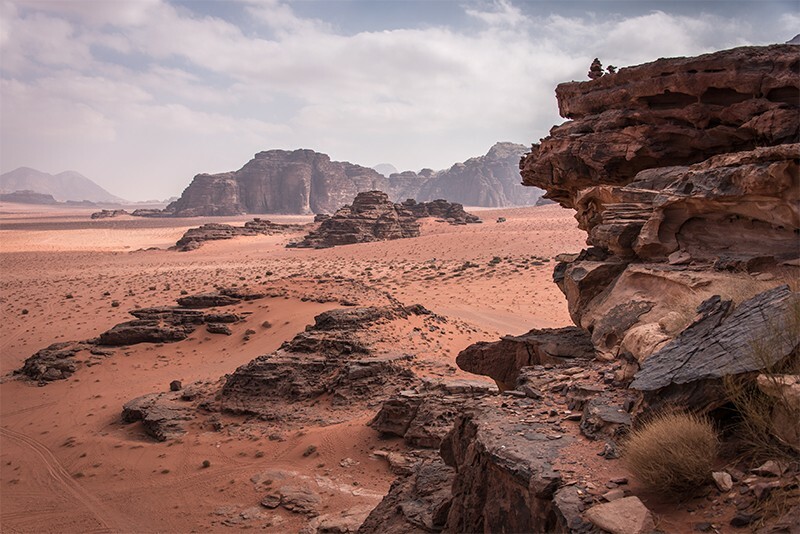 Mol’s five-woman team, comprising a palaeontologist, two geomorphologists, a heritage specialist and an archaeologist, returned in September from an expedition to Wadi Rum, a cultural heritage site in southern Jordan. Wadi Rum is home to rock paintings, engravings and archaeological remains that document millennia of human habitation, and it wears the scars of conflicts old and new. The rocks’ physical characteristics, or lithology, are also similar to those in areas such as Syria, where safety issues are too great for researchers to make expeditions. The team hopes ultimately to develop step-by-step guidelines for locals to identify and catalogue ballistic damage to heritage sites — for use in Jordan and beyond. Residents could record and communicate their findings using an information sheet, or send images to researchers by e-mail or through an app, says Mol. But the researchers must first determine which stone properties are most crucial for tracking ballistic damage and environmental degradation. “We can’t simplify to that level without the high-level scientific understanding,” says Mol. The bullet damage at Wadi Rum spans decades, from guerilla conflict in the early twentieth century to damage from AK-47 machine guns in the past few months thought to have been caused by people using rocks for target practice. Over the decades, munitions have changed — as has the extent of the harm they cause. How badly weathering worsens after ballistic hits depends on factors including weapon type, rock composition and climate. For instance, a 2017 study by Mol’s team1 found that bullets from a .22-calibre gun changed how stone reacted to changes in moisture and temperature, exacerbating deterioration. This degradation can be as harmful as the initial bullets, says Bewley. “With wind, rain, freezing, drying, you open up the possibility for more damage,” he says. But these impacts are not well studied. During their week-long expedition to Jordan, Mol and her colleagues collected data on the surface hardness, resistivity and permeability of rocks, both at points of impact and undamaged rock. They will combine these data with 3D images of the surface morphology to calculate the size, depth and shape of impacts, as well as the fractures that run along the surface. In Mol’s lab, researchers will shoot guns at rocks to test the microstresses caused by bullet impacts from different weapons — and compare the results with the data to work out which weapons created which damage, and how that damage plays out in the rock. But even with rich on-the-ground data, it can be difficult to determine exactly who shot at the sites and when. Historical conflict is a likely culprit for some of the damage at Wadi Rum, says Kaelin Groom, a geographer in the team who has worked at the site for the past two years. But many of the impacts, such as the recent AK-47 damage, are known to be acts of vandalism. The researchers also interviewed local residents to narrow the time frames and identify possible shooters. Heinz Ruther, a geoinformaticist at the University of Cape Town in South Africa, says that he’s not aware of other researchers doing such ballistic work. Being able to quantify the extent of conflict damage to heritage sites would be very relevant, says Ruther, who leads a project that creates digital models of African heritage sites. So many buildings are affected or destroyed by war, he says, but partial damage is seldom considered. But there is more to heritage conservation than scientific understanding. Conservation efforts need the buy-in of local residents and should take their wishes into account, Mol’s team says. Some residents think that certain bullet damage should not be repaired, and should stand as a warning against vandalism or as a reminder of the conflict that caused it. There are local stories and knowledge surrounding the bullet impacts, and this affects how the sites should be conserved, says Rachel King, an archaeologist at University College London who was part of the expedition. Mohammad Dmayan Al-Zalabiah’s family has lived in Wadi Rum since the early 1800s. A tour guide, Al-Zalabiah was part of a US programme aimed at managing and promoting cultural heritage resources in Jordan. 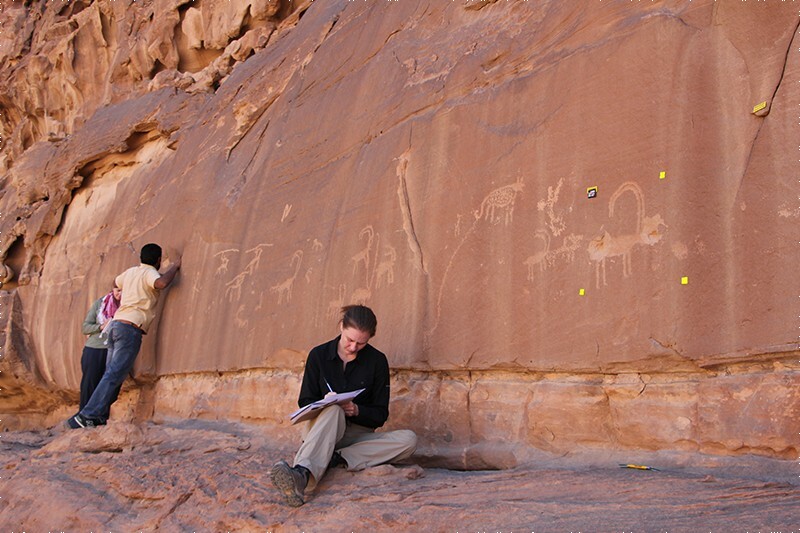 Al-Zalabiah worked to create a database of local rock art and inscriptions at the site, and helped Mol and her team collect data about bullet damage. He thinks that the ballistic research has value for the community, because it highlights the extent of bullet damage and dissuades vandals. “You can’t understand something as complex as the physical damage to heritage — in a very different social context and the conservation attached to it — without social outreach, ethnography and geology,” Groom says. Mol, L., Gomez-Heras, M., Brassey, C., Green, O. & Blenkinsop, T. R. Soc. Open Sci. 4, 160335 (2017).